Last saturday I posted a reason I like Barcelona more, and I think it's time for another reason! I love LOVE that they don’t have the siesta here! At least not in the centre and where I move around, and that is just great. The shops are open from 10 in the morning till 9:30 at night. I like to buy my stuff whenever I want to! I will refer to my post on the subject from Málaga. It was a bit of a shock actually, and quite annoying if I may say, that all the shops closed between 2 pm and 5 pm. Even supermarkets. For a local, this is probably as normal as brushing your teeth before going to bed, and not something to get worked up about at all, but to me it seemed like every time I remembered something I needed to buy, at what hour was it? Of COURSE, some time between 2 and 5. So, I love that in Barcelona I can do my shopping whenever I want! Dude I would kill for a siesta at my job! I love that my life in academia allows for lots of during the day naps but I can imagine how that would be if you needed something! 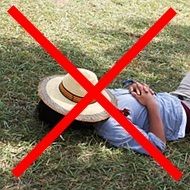 Well, siesta is a Southern custom; when at two PM the temperature is over 40C, it's hard to do any work - even digesting. So you take a nap to escape the worst. It was just such a shock to me when I landed in Malaga and everything shut down in the middle of the day- the time of the day when I had time to get things done! It was nice that this didnt exist that much in Barcelona (although it does when you just go a liiiittle outside the centre!) And I agree- August in Bcn is brutal!